Optimize the lighting energy efficiency and comfort for creating value-added lighting experience. 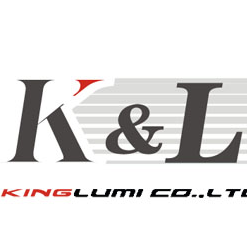 As a led light company in China, Kinglumi has been focusing on the lighting energy efficiency and comfort for delivering human-centric and eco friendly LED lights solutions. Since founded in 2005, we insist on designing and manufacturing self-developed modern LED lighting products that are unique and distinguishable in the market. With the benefits of high luminous efficacy, uniqueness on lighting design and excellent stability, Kinglumi's wide range of LED lights have been sold to more than 80 countries around the world. To fulfill the need of specific lighting demands, we also offer OEM/ODM custom LED lights services, which helps clients create competitive and unique LED light fixtures that's beneficial to the brand building and development.